Features 8 different hilarious phrases from the TV show! 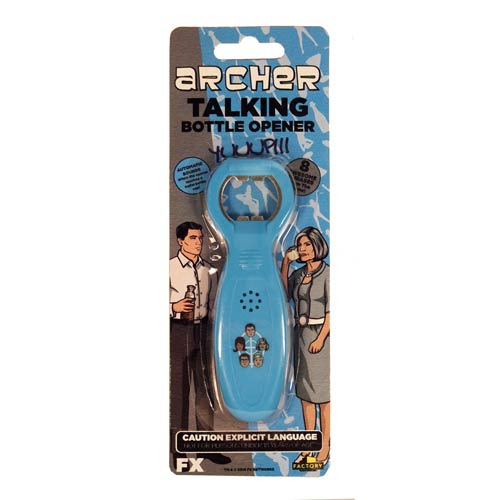 Bottle opener is 5-inches long, includes 2x "LR44" button cell batteries, Included. Phrases automatically activated when you touch the opener to a metal bottle cap.